When it comes to opportunity – this ranks a perfect 10. Ohio Wesleyan University students seeking to enhance their educations by studying off campus without spending a full semester away are invited to explore 10 Travel-Learning Courses announced for the 2019-2020 academic year. OWU’s unique Travel-Learning Courses all include a semester of classroom instruction followed by a faculty-led travel experience that helps students connect academic theory with hands-on practice. The Travel-Learning Courses are part of the university’s signature OWU Connection program. All 10 courses will be taught during spring semester 2020 with travel during spring break or after classes conclude in May. Taught by professors Susan Gunasti and Nancy Comorau, students will explore the experiences of the nearly 3 million Muslims living in contemporary Britain through the lenses of religion and literature, providing the students a basic understanding of Islam and of specific issues Muslim Britons navigate including conflicting ideas of tradition and modernity, negotiating gender roles and norms, and critiques of Islam from within the community. The class will travel to Leeds, Bradford, Oxford, and London from May 10-23, 2020, including meeting with the Bradford chapter of the Muslim Women’s Council and visiting the Victoria and Albert Museum, British Museum, Migration Museum, and National Portrait Gallery. Taught by professor Sean Kay, students will examine environmental politics and policies in the United States and internationally, including the environment as a part of American political development, theories of environmental politics, environmental policymaking, and national and international environmental policy challenges. PG280 will be offered in both the fall and spring, and all students are eligible to travel. The class will visit the Upper Colorado Basin in Utah and Colorado from May 28-June 8, 2020, including a four-day river-rafting trip through Dinosaur National Monument, meetings with water management officials up the Yampa River, and a western water law conference at the University of Colorado at Boulder. 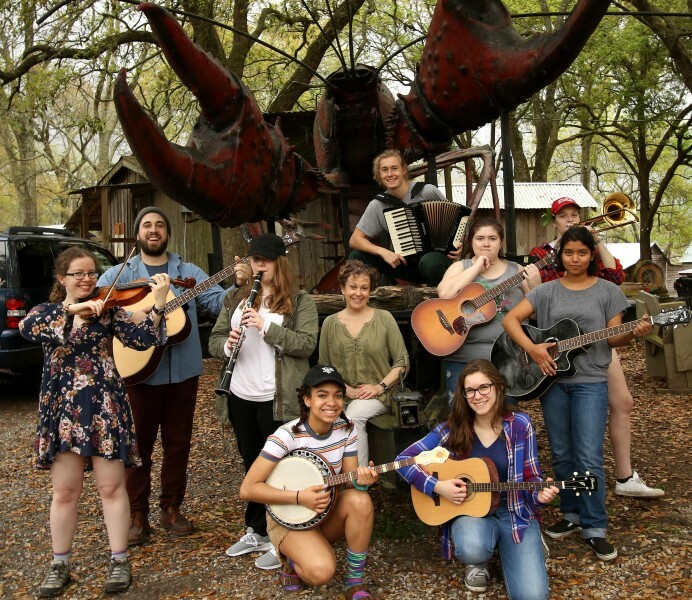 Taught by professor Nancy Gamso, students will learn about, engage with, and experience the rich history and continuing vital practice of music existing at the center of community building in Southern Louisiana. Student-musicians will learn to play the traditional music of Louisiana and function as a working ensemble to perform there and conduct community outreach in Delaware. Students will travel during spring break from March 6-14, 2020, and connect with Musicians’ Village and the Ellis Marsalis Center, the New Orleans Volunteer Orchestra, and the Crescent City Chamber Music Festival, among others. Taught by professors John Durst and Paula White, students will develop an awareness and understanding of “social justice” and “activism” as well as explore equitable and inequitable educational practices. This will include understanding the historical, cultural, economic, philosophical, and political dynamics of inequality as well as exploring social identity construction and the concepts and reality of power, privilege, and intersectionality. Class members will travel to Mississippi and Alabama during spring break from March 7-14, 2020, where they will visit several sites along the National Civil Rights Trail, where many of the events of the Civil Rights era took place during the 1960s. 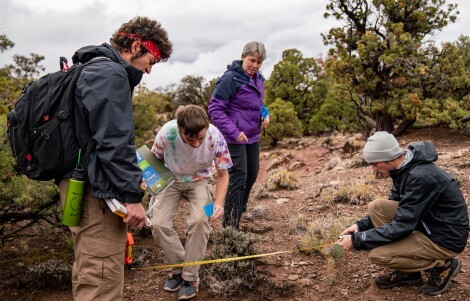 Taught by professor Laurie Anderson, students will explore how plants and ecosystems respond to four global environmental changes: increases in atmospheric carbon dioxide, increases in temperature, increases in nitrogen deposition, and changes in precipitation patterns. The class also will examine how plants and ecosystems interact with the four changes and the resulting implications for the future of the biosphere. The class will travel to the boreal/tundra region of Alaska from May 12-23, 2020, for additional on-site learning and research. The region has experienced the most dramatic warming of any location on the globe. Taught by professor Mary Anne Lewis Cusato, students will investigate the concept of francophonie – exploring France, the French colonial project, and the evolution of the francophone world – across various historical and cultural moments from the 19th to the 21st century. The course will introduce students to cultural documents that illustrate France’s imperial project, the development of francophonie, and a host of political, cultural, and economic issues associated with postcolonial studies. The class will travel to France from May 20-30, 2020, with visits to the Musée du Quai Branly, the Musée de l’Homme, the Jardin d’Acclimatation, and the Louvre. Taught by professor Eva Paris-Huesca, students will immerse themselves in Spanish culture by exploring its history, art, culture, language, and gastronomy, as well as completing a portion of the Camino de Santiago (Saint James’ Way). During the walk, students will stop in different locations to carry out academic activities that reflect the traditions of each place. Taught entirely in Spanish, this OWU Travel-Learning Course will help students with their Spanish speaking, reading, and listening skills as well as their cultural awareness. The class will travel to Galicia, Spain, from May 12-31, 2020. Taught by Erin Fletcher, director of OWU’s Richard M. Ross Art Museum, students will learn to identify currents in museum history and contemporary debates about its role in society, as well as cultivate the skills and experience necessary to develop exhibits. The course will challenge students to consider museums and exhibitions in relationship to social, political, economic, historic, and educational contexts. The class will travel to Oxford and London in the United Kingdom during the weeks of May 18 and 25, 2020, visiting sites including the world’s first university museum, the Ashmolean Museum of Art and Archaeology, and first national “public” museum in Britain, the British Museum. Taught by professor M. Alper Yalçinkaya, students will focus on contemporary social, cultural and political developments, and diversity within the region. They will use concepts, ideas, and analytical tools learned in the classroom to compare Turkish society to other Middle Eastern societies as they develop an awareness of the diversity within individual societies, cultivate an understanding of the legacy of the Ottoman Empire, and gain a better grasp of the social problems and movements in Turkey. The class will travel to Istanbul from May 12-20, 2020, including visits to Topkapi Palace and Museum, the Hagia Sophia, the Grand Bazaar, and much more. Taught by professors Amy Downing and Craig Jackson, students will study basic principles of marine biology and techniques pertaining to field data collection and mathematical modeling as they learn how integrating mathematical and field techniques can lead to a deeper understanding of marine systems. Topics will include physical and chemical processes of oceans, productivity and energy flow, and major marine habitats – with mathematical models of physical and biological phenomena introduced in conjunction with the topics. The class will travel to the Glover’s Reef Research Station in Belize during spring break from March 14-21, 2020, giving students hands-on experience with tropical marine systems and enabling them to develop semester-long research projects. For more information, visit the Travel-Learning Courses section of the Ohio Wesleyan website.